It’s been festival season for about a couple of months now and for some reason I still haven’t been to a festival this year. But that’s going to change this weekend as I’m going to V Festival with Rocketdog. I’m so excited about it and I’ll be wearing Rocketdog footwear when I go as well. 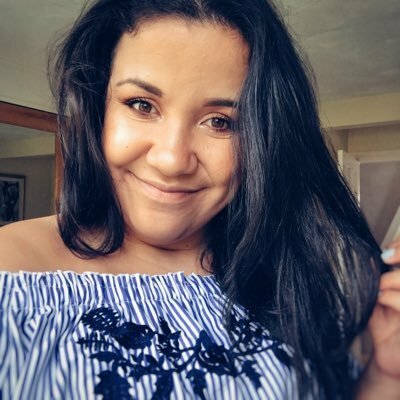 My outfit for V fest hasn’t arrived yet (typical) but hopefully it’ll come tomorrow so instead of an outfit post I thought I’d show you all what I’ll be wearing on my face during my time at V festival on Saturday. For my base make-up it’s all about keeping my skin moisturised and hydrated and so my first point of call is my Bare Minerals complexion rescue. This gives medium coverage and leaves my skin feeling moisturised all day. 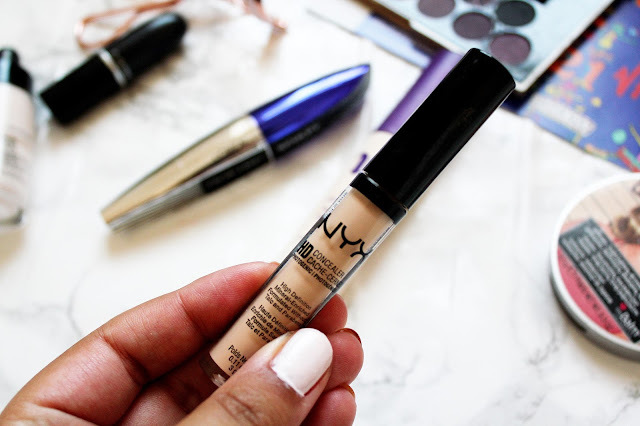 My go-to concealer at the moment is this HD concealer from NYX. 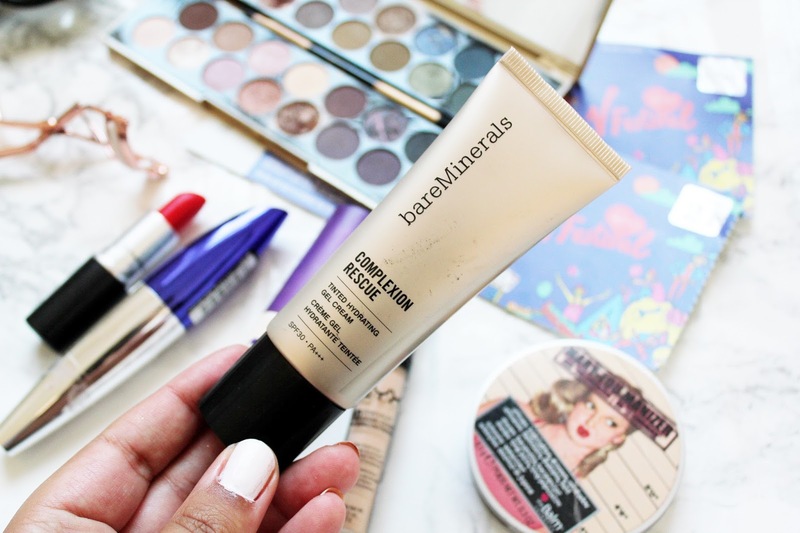 I find this works so well for my skin tone and blends so well with my complexion rescue from Bare Minerals. 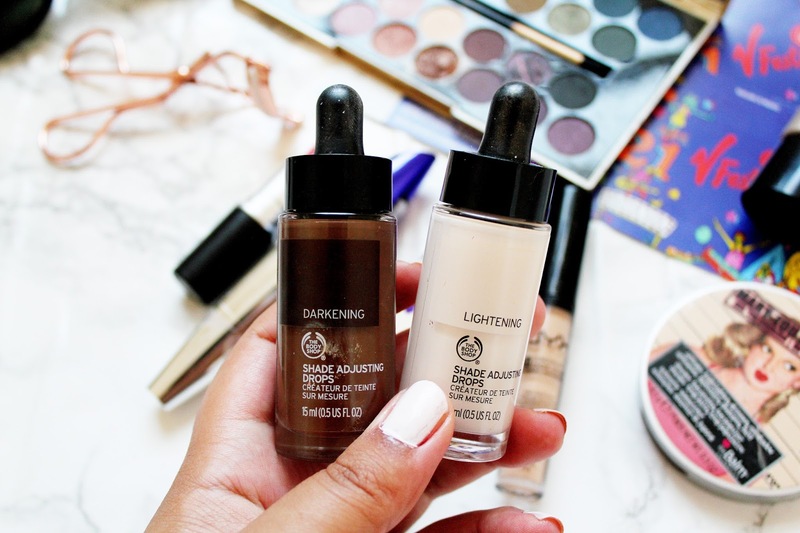 I absolutely love these lightening and darkening drops from The Body Shop. 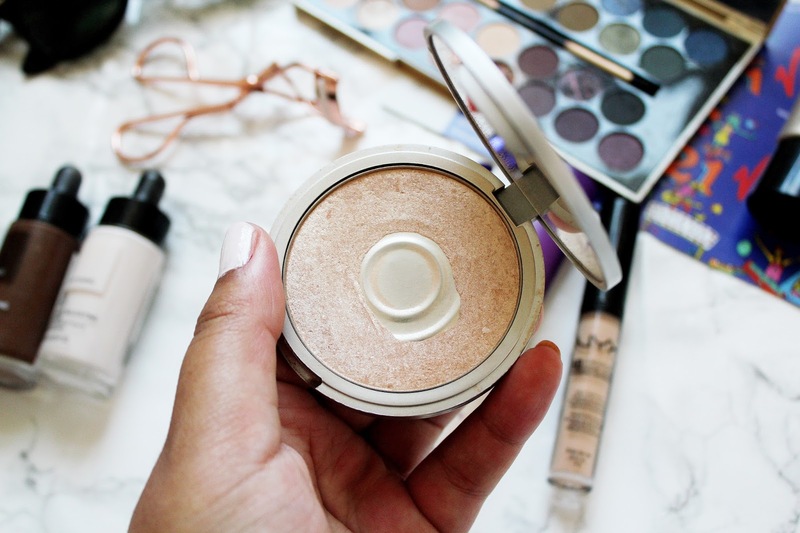 I find them so useful, especially for adding a natural contoured look to my face. I find these drops help me achieve the perfect contoured look, which will be perfect for V Festival. This lasts on my face all day and makes my skin look super glowy. I also like using this on my body to add an extra shimmer. This has to be my favourite eyeshadow palette at the moment and its absolutely gorgeous. 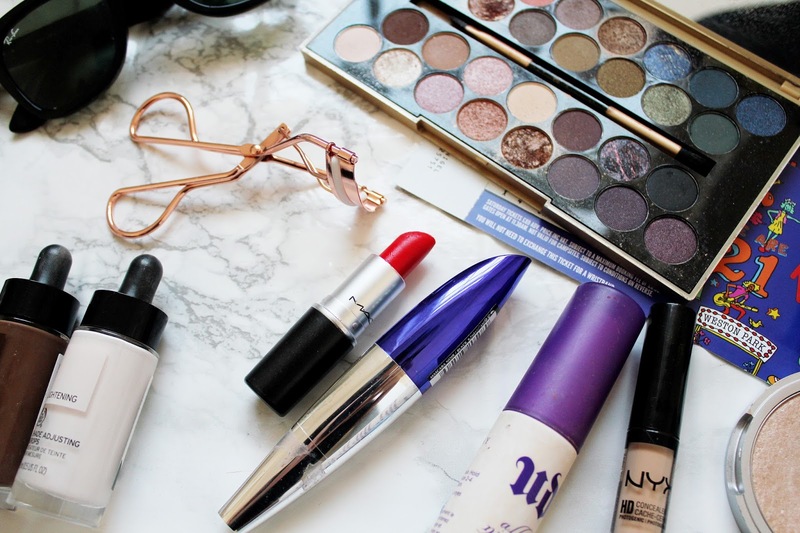 The palette has so many colours, the pigmentation of the products is so good and the eyeshadows last so well. 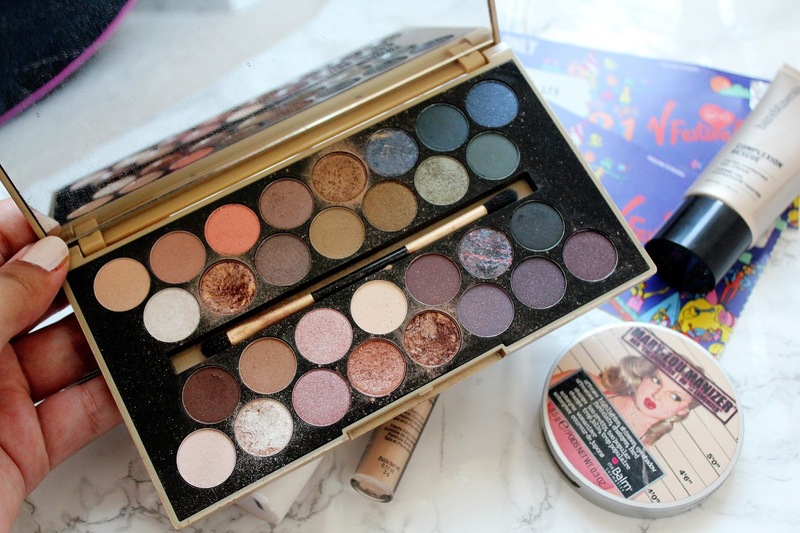 If you want to see a full review of the palette you can check out the post here. I never thought I’d love using this mascara just as much as I love using the Urban Decay Subversion Mascara. I absolutely adore this mascara from L’Oreal and I’ve never really been a fan of the mascaras from L’Oreal I’ve tried in the past. 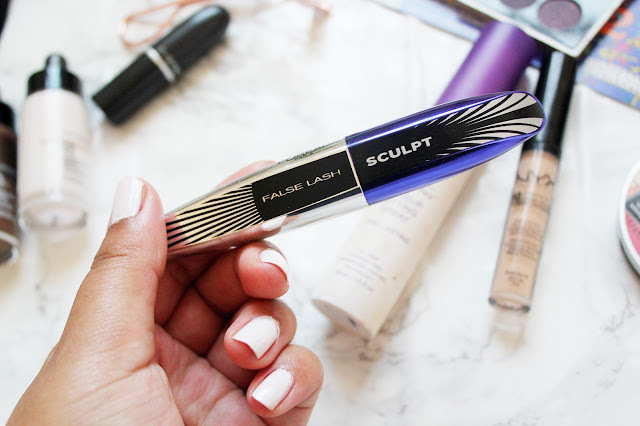 This mascara has a really unusual shaped wand and it leaves my lashes looking full and defined and like I’ve got a pair of false lashes on (which is a total winner for me!) If you’re looking for a new mascara to try, I would 100% recommend picking this up next time you’re in Boots/Superdrug. One thing I love about festivals is that you can really wear whatever you want! I am still on the search for some face glitter (so I look extra shimmery too) but a festival wouldn’t be a festival without a bright lipstick and my go-to lipstick is Lady Danger. 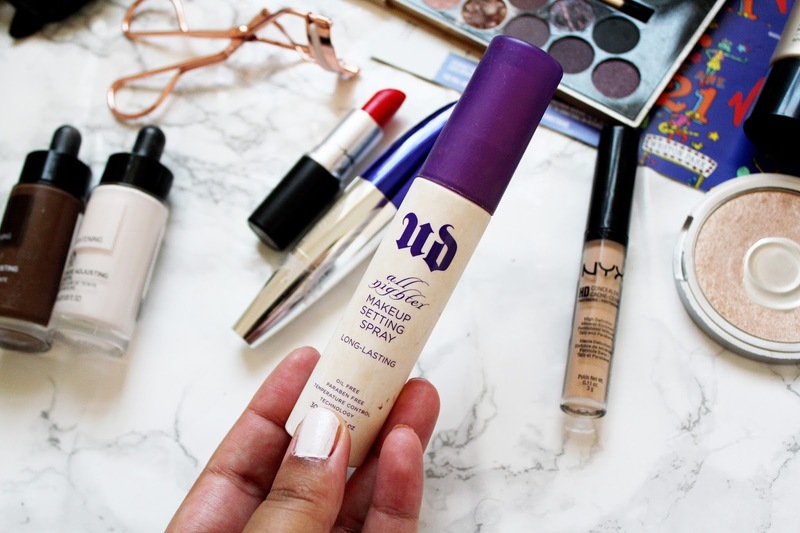 If you want your make-up to stay on ALL day then look no further then the Urban Decay setting spray. 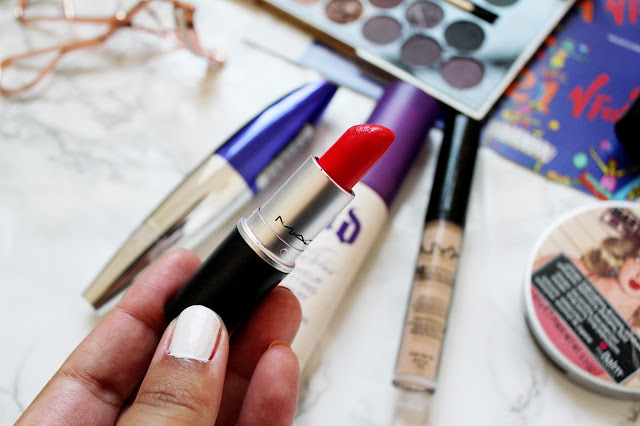 I’ve been through about 2 or 3 of these now and I absolutely love them and this product is a real festival must-have for making sure your make-up stays in place. 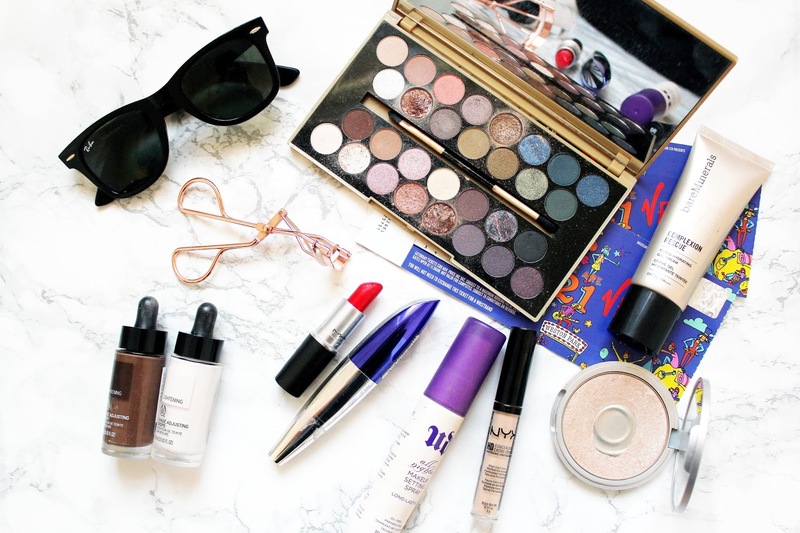 So that’s it for my festival beauty look and I can’t wait to wear these products on Saturday for V Festival! You can see what I get up to on the rocket dog social channels but also my social channels. 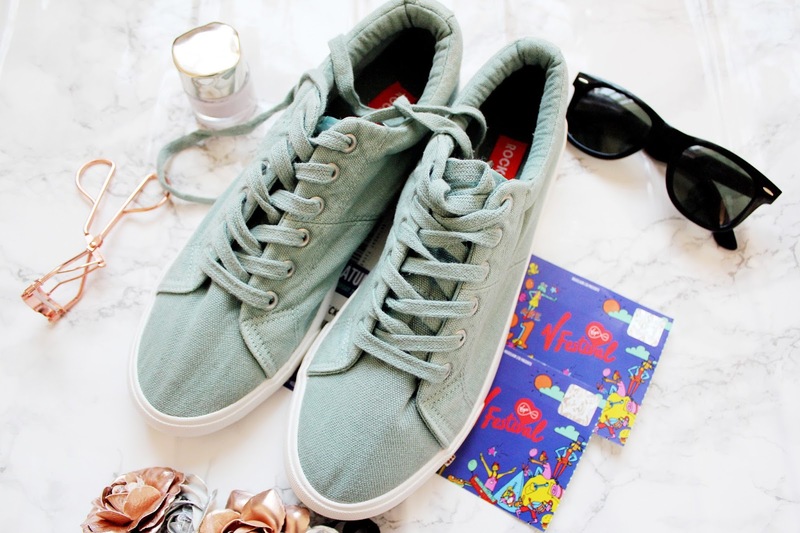 What are your festival fashion beauty essentials?